BACK ON THE MARKET! 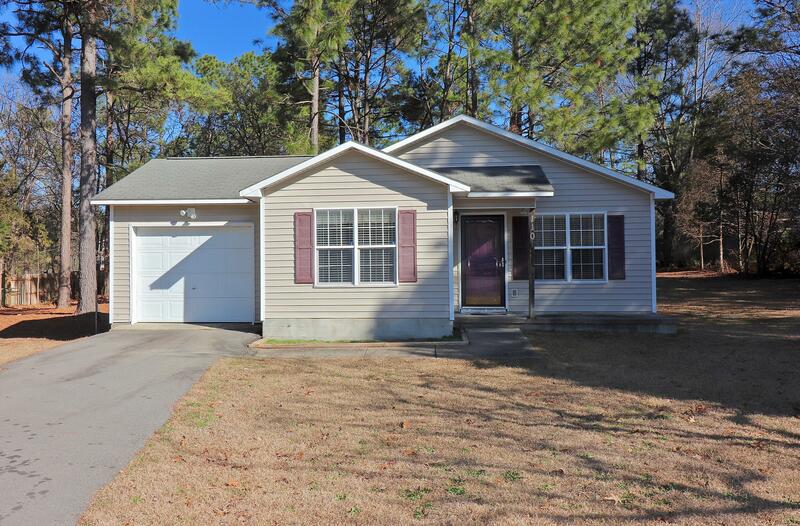 Great opportunity for first time home buyers in Aberdeen - move in ready! Convenient one level floor plan with attached freshly-painted garage and large rear deck. Set back from the road with quaint front porch. Fresh paint and new carpet throughout, with new laminate flooring in bath. Kitchen completely updated in 2012 with laminate countertops. Complete HVAC overhaul less than 6 months ago including all new duct work and new air handler in attic. ADT security system transfers. Lovely large lot with mature pines and Bradford Pear trees. Driveway re-paved in 2012. Roof replaced in 2009.